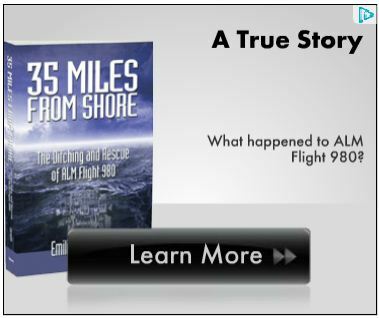 It’s been a while since I updated my experience using Adwords to promote my book 35 Miles From Shore. What had originally been planned as a three-month experiment back in 2010 continues to this day. You can read about the original goal of the case study in the post Adwords for Authors: A Case Study. The cliff notes version of what I wanted to accomplish was that I hoped to get my book in front of nonfiction readers, specifically readers of Laura Hillenbrand’s book Unbroken. In its simplest form it is comparative marketing. If you liked this book then perhaps you might also like this book. Amazon uses this technique to perfection. So if you were to go on to Google or Bing and do any kind of search related to Laura’s book, an ad for my book would pop up. The ads are still running. You can try it on Google, but you may not see an ad. This has to do with Google’s first page bids, which I will delve into a little later. Try it on Bing and you should see an ad. Just don’t click on the ad because it costs me money for each click. Go ahead and give it a try using the search terms “Laura Hillenbrand” plus “Unbroken” or “Louis Zamperini.” If you want to see where the ad would take you if you were to click the ad, click this link If You Liked the Book Unbroken. You can also read more about the landing page in the post Creating the Squeeze Page. A lot has happened since I started this case study. I have been through two different training programs on two different aircraft at American. My book was unavailable on the Kindle for three months due to a dispute between my distributor and Amazon. You can read more about that issue in the post My Perspective on the IPG vs Amazon battle. But one thing that hasn’t changed is Laura’s book continues to have phenomenal sales. It still ranks as low as 35 in the Kindle store. And because her book continues to sell, the impressions for my ad have remained steady throughout. The average bounce rate, as expected, has been around 85%. But two changes I made to the campaign have resulted in better results. First I added a remarketing campaign. And, after not getting enough impressions, I raised my bid price on the remarketing campaign and saw the impressions take off. The graph below shows the effect of raising the bid price on the remarketing campaign from .30 cents a click to $1.01 a click. From the user’s standpoint, when they see an ad like the one above, it does two things: it reintroduces them to a book they at least had some interest in; and it makes it look like I have some expensive marketing campaign behind this book. The truth is that the cost is negligible. Even with a bid price of $1.01 per click, the actual average cost ranges from .30 cents to .60 cents a click. That’s still a bit high. But what I’m after is exposure. In marketing it’s known as the rule of three. A person is more likely to make a buy decision if they are exposed to the same product or service at least three times. So someone does a search on Laura’s book and they see the ad for my book. They click on it and decide that it is a sales pitch for another book, so they leave the site. But I’ve now tagged that visitor with a remarketing cookie that will follow this individual around the Internet for the next thirty days. Over the course of those thirty days that individual is likely to come across one of my display ads. Does it work? The graph below shows the average impressions per week since raising the bid price. As you can see from the graph, I am getting an average of 10,000 impressions a month. That’s a lot of eyeballs. And the majority of these impressions are going to nonfiction readers and not just aviation readers. So how have my sales been? My sales took a big hit during the three months that the book was not available on the Kindle. Excluding that three-month period. Sales of my book have exceeded my expectations. I’m talking about 150 to 200 books a month for a book that was first published in 2008. The majority of these sales are Kindle, though I have seen an increase on other devices such as the iPad and the Nook. My Adwords and Bing costs have averaged around $125 a month. The bottom line is that every time I think it’s about time to shut down this particular campaign, I run the reports and see that my impressions have remained steady. Laura has seen sales in the millions. So I’ll keep running the ads. Now one last comment concerning Google. A lot of variables go into determining bid price and which ads appear on page one of search results: keyword match, ad relevancy, landing page quality, and bid price. Theoretically, if you have little or no competition, which is the case with the campaign I’m running. I should be able to appear on every search results page just like I do on Bing. But Google has unfairly placed a premium on the first page. So much so that it doesn’t pay for me to raise my bid price to the suggested $1.50 or more per click for my ads to appear on all search results pages. I have set my maximum bid at .30 cents a click. The result is that my ads don’t always appear. In fact, they only appear a fraction of the time. The same is not true for Bing where I get even more impressions and more clicks. And, more importantly, I get more opportunities to hand out remarketing cookies. When I do shut down the campaign, I’ll compile these posts into one document. In the mean time. You can view them by selecting the Adwords for Authors category in the sidebar. I have been using Google AdWords for several years, with excellent results. However, this “re-marketing” is something with which I am not familiar. Can you elaborate on how it is done, or is it an aspect of Google AdWords that I can avail myself of with Google, itself? This was an excellent article and I appreciate your taking the time to post it. You can find more info by searching the Adwords help files. You can start with a simple remarketing campaign to a very complex campaign. the short explanation is that you have to first create the remarketing code using an Adwords code generator. Next you have to place the remarketing code on every page of your website except pages that you don’t want to be targeted, like an order page (youdon’t want to remarket to someone who already purchased your book.